S.O.S. 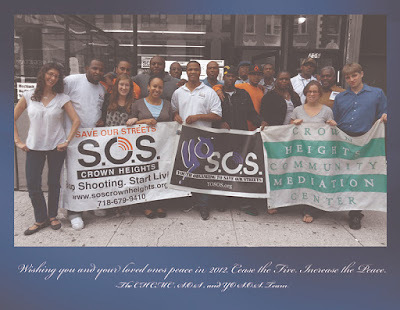 Crown Heights and S.O.S. Bed-Stuy: Happy Holidays from S.O.S. Wishing you and your loved ones peace in 2012. Cease the Fire. Increase the Peace.